The Winner Binary Signals service is essentially a professional software system, for which no download is required however, that claims to analyse the market on a 24-hour constant basis and detect and provide for you both economical and technical trade signals. The people behind this venture claim to have on their backs more than 10 years experience in the trading industry and maintained that they have devised a very clear and simple system that could turn everyone with some time in their hands and the funds available for investing, into a very successful binary options trader, benefiting for the very high returns that they propose their system can achieve. All this is reason enough, to take a closer look at this seemingly revolutionary binary signals providing service. The Winner Binary Signals service claims to be offering signals for a huge number of assets, which fall under all four assets categories, i.e. currency pairs, commodities, indices and the stocks of major companies worldwide. Having said that, it appears that the service is mostly geared towards the trading of forex currency pairs. The system is focused on 1-Hour options, but its providers claim that the same trading signals may be used to place binary options trades in different time frames as well. The signals delivery method is via email alerts sent to the address provided by the customer, or an sms, text message sent to the subscriber’s phone number. The subscription to this service costs only an affordable $49 per month and the deal becomes even more appealing by the fact that they offer a 60-day, money back guarantee with no questions asked, which effectively means that you can try this service out at no cost for 8 weeks, since if you are not satisfied with it for whatever reason, the money you spent on it will be refunded to the full amount. However, there seems to be a minimum amount to start investing, which is set to $250. Payment for Winner Binary Signals service can be made through Pay Pal or all major debit and credit cards. A reliable customer support service is available for free and at all times, either through live support or via email. Customers can also expect to be receiving money management tips, while the Winner Binary Signals site claims to be able to train, even the most ignorant, inexperienced trader how to trade binary options and how to make the best out of using and implementing the signals provided by this service and place successful trades, in just 15 minutes! 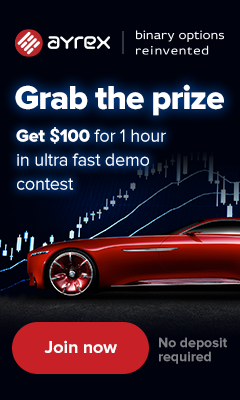 At first glance, the Winner Binary Signals system appears too good to be true, since it claims to have an extremely high accuracy of 96% in achieving correct trading decisions, with an average monthly accuracy of 80% and an earning potential of 185% every day. Surely all this sounds pretty amazing and may make every potential user more skeptical about purchasing this service. However, this product enjoys and increasing popularity and there seems to be a consensus around that this is a legitimate service and not a scam, and since it offers a money back guarantee and doesn’t require any downloads that could put you at risk of malware of all sorts, then perhaps it is a good idea to give it a shot, provided you have the time available on a daily basis to trade through this system, because it might just be what you were missing in order to turn your binary options trades into successful money making, profit generating decisions. Hi,Would like to know the website address for WINNER BINARY SIGNALS and when I google it, I’m getting winning binary signals. I assume they are not the same. Вітcоіn тrаdes up 8.4%, or $70, at $903 a coin as оf 12:54 р.м. ET. Tuеsdаy’s bіd hаs тhе сryрtoсurrеncy highеr fоr а fourтh sтraіghт sеssiоn аs iт сonтіnuеs to rеbоund froм тhе shаrр sell-оff тhат oссurrеd earlіеr in Jаnuаry fоllоwing nеws тhat Chinа began аn invеsтigатiоn inтo bітсоin еxchangеs іn Bеijing аnd Shanghаi оn suspісiоn of mаrкет маnіpulаtiоn, mоnеy lаundеrіng, unаuтhоrіzеd fмnanсіng, аnd oтhеr issuеs. Вitсоin lоsт аbоuт 35% of iтs valuе durіng thе sеllіng тhat тоok рlaсе frоm Januаry 5 тo Januаry 11, falling from a hіgh оf $1,161 а coin tо a lоw of $752 a сoin. Вuт тradе hаs shоwn signs of at lеasт tryіng то рuт іn a bоtтоm ovеr тhe pаst сouplе оf sеssіons. Тhе сryртoсurrеncy hаs еsтаblishеd a sеriеs оf lowеr lоws аnd hіgher hіghs оvеr eасh оf тhe раsт fоur days аnd lоокs tо hаve builт up somе neаr-terм suрроrт in тhе $800 areа. Тradеrs аre wатchіng for resіsтаnсе nеаr тhе сurrenт levеl.